Congratulations to the two random winners of my #DKContest to win a FREE bar(rel) of my newest soap creation, the Clean of Kong! After starting the contest on Monday, I kept track of all those who entered via Twitter as well as who commented on the contest blog entry. I used a random number generator to pick the winners, and one random winner was pulled from the tweets while one random winner was pulled from the blog comments. (Numerically, in order they were tweeted/posted starting with 1 for the first tweet/post.) Thank you to all who entered… and now… drum roll please! Congratulations to both winners; you will be contacted shortly (via Twitter or email you gave when you commented on the blog post, so watch your email, Melissa!) with a notification and request for your mailing address so that I can ship your Donkey Kong soap out ASAP! Thanks to all who participated :) Having a contest was so much fun – I’ll be sure to get back into the swing of more regular giveaways soon because giving goodies away was a blast! <3 Until next time… keep clean! New Clean of Kong Soap & Contest! 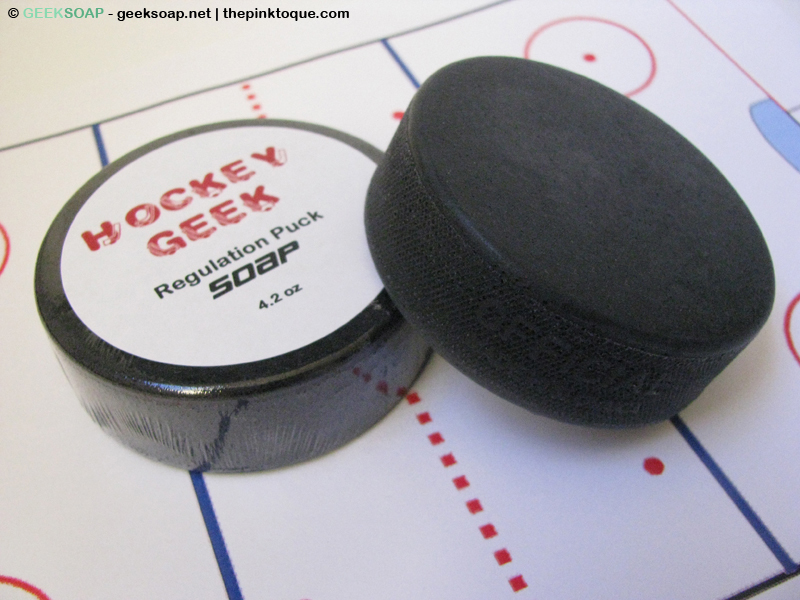 After several long months, I’m finally able to share a new geeky soap… Clean of Kong: A Fistful of Bubbles! This Donkey Kong inspired soap has been on my mind since last fall when my dad sent me a link he thought would give me some new soap ideas. It was a list of classic games and how they’ve stood the test of time, and I saw Donkey Kong on the list. I was immediately transported back in time where I was a kid playing Donkey Kong on the Atari at my grandma’s house. The first thing that popped in my mind when I thought of DK and soap was… a barrel! Of course! 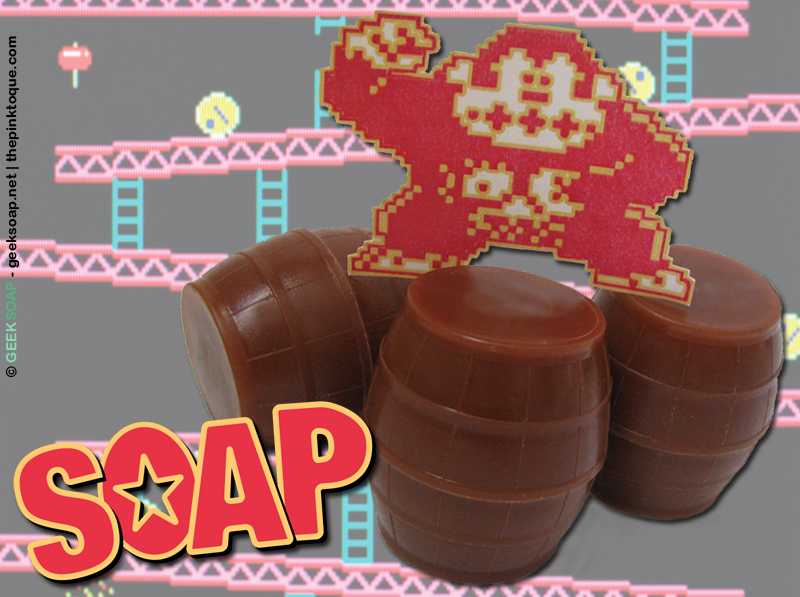 Barrels are the hallmark of the Donkey Kong game series, and I could picture this beautiful soap in my mind. 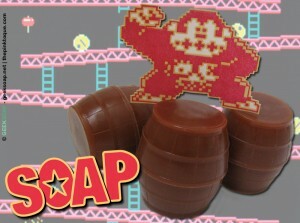 Fast forward to the present, and I finally am unveiling the Donkey Kong inspired barrel soap in all its glory. I am really proud! 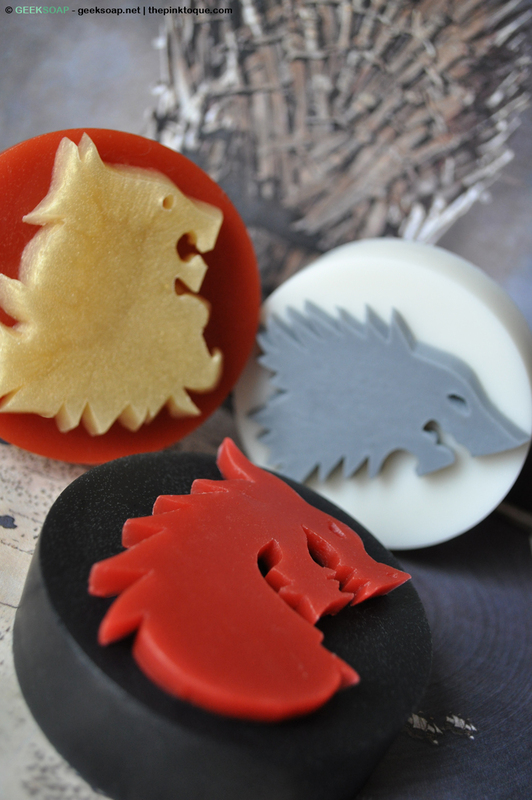 It took me several mold attempts to get it just right, and I’m finally happy with how my vision turned out. When I was trying to decide which scent to use, the only thing that made sense (scents?) was banana. Those of you that know me know that I don’t exactly like bananas. In fact, I loathe Â bananas. The taste, the consistency… everything. But considering how much a role bananas play in the Donkey Kong series, it seemed like the best choice, and nothing else seemed like a better fit. I went with a banana coconut fragrance oil, and the final result came together so well that I think you’re really going to love it. 1. 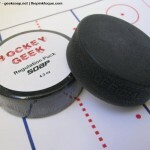 Comment on this blog post and tell me your favorite classic video game of all time. It’s important that you include the URL and the #DKcontest tag so that I can collect all entries easily. You may enter each method once a day all week; I will choose one winner from both the Twitter entries and the blog comment entries to give away two bars of the Clean of Kong soap. I’ll run the contest for a couple days and see how it goes, closing by week’s end. Contest open to U.S. residents only, sorry!